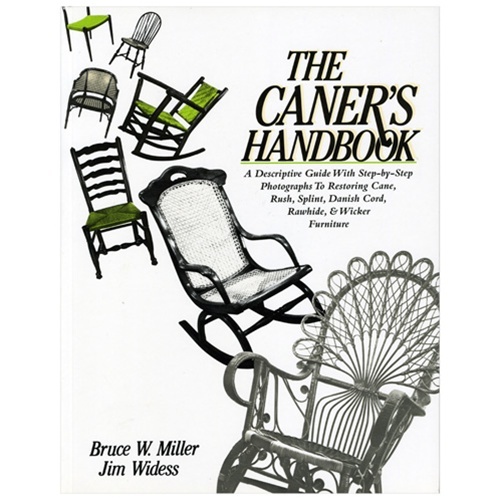 Using clear, easy-to-understand, black-and-white illustrations, this handbook shows how to replace complete sections as well as make small area repairs on wicker furniture. 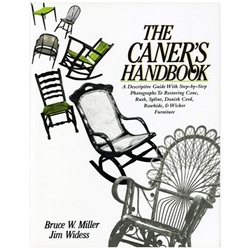 It provides step-by-step directions and illustrations for a variety of different types of wicker, including cane, rush, splint, Shaker tape, rawhide, Danish cord, and binder cane. Hand-weaving patterns range from simple to complex. The extensive manual also covers special techniques and proper maintenance of woven furniture. Since caning techniques do not readily become outdated, institutions need not worry about keeping up with current titles. However, if your collection lacks material in this area, The Caner's Handbook makes an excellent purchase for any size library. - Barbara Bartos, St. Croix Cty. Lib., Hammond, Wis.